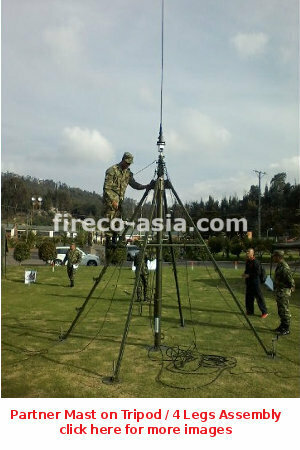 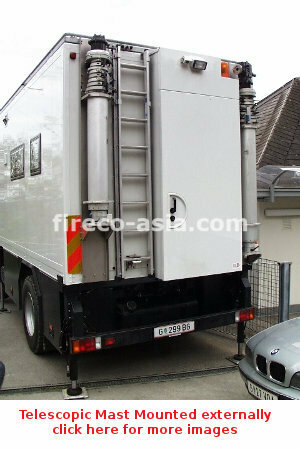 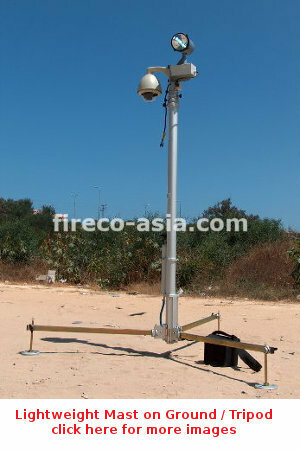 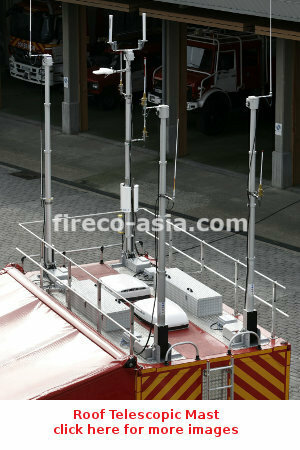 Portability: Fireco Pneumatic Telescopic Mast can be carried/ transferred for on-ground set-up. 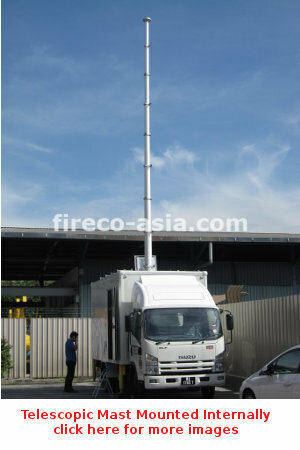 Mobility: Fireco Pneumatic Telescopic Mast can be installed on vehicle either internally or externally with Fireco’s own fixing bracket. 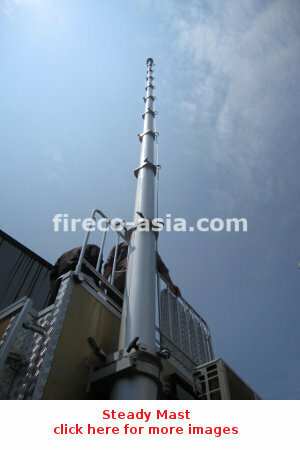 Fireco Pneumatic Telescopic Mast also features STEADY CLAMPING SYSTEM on every section for application with Mast remained stay at the extended position for prolonged period. 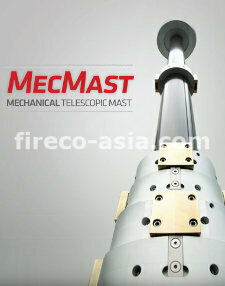 The beauty of Steady Clamping system is that Mast stay at its extended position even though there is no compressed air inside the Mast tube.